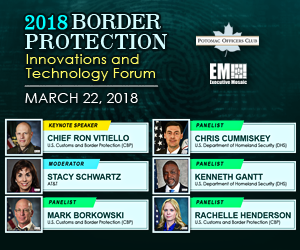 On Thursday, March 22nd, the Potomac Officers’ Club hosted the 2018 Border Protection Innovations and Technology Forum, where keynote speaker Ron Vitiello, acting deputy commissioner of U.S. Customs and Border Protection and chief of U.S. Border Patrol for the Department of Homeland Security, addressed a range of technological security challenges and opportunities facing the nation’s borders. “Our top priority is to identify technologies which allow our agents to carry out their mission more safely and effectively,” said Vitiello early on. While new technologies bring the CPB greater border security capabilities, they also give transnational cartels better tools, he warned, a recurring theme in his remarks. Citing examples, he noted how those organizations’ use of secure messaging and cryptocurrency transactions have evolved to evade law enforcement. To best meet these mission objectives, we employ a layered approach to how we deploy capabilities, Vitiello commented. This means relying on fixed-technology infrastructure such as towers, employing dynamic infrastructure in the case of unmanned aircraft systems and using back-end infrastructure like computers, apps and communication systems. By integrating these technologies, such as linking towers with drones in the air to cover more ground, we significantly expand our surveillance capabilities. This is extremely valuable in border areas of high value and interest, like the Rio Grande Valley in San Diego, Calif., where CBP faces persistent threats. Vitiello stressed that UAS vehicles can better protect agents, since it allows them to survey remote, rural areas from the safety of a nearby hilltop or canyon. Right now, CBP is leveraging the DHS’ Silicon Valley innovation program to test new drone technologies in the field. These technologies include improved UAS sensors and communications systems for inclement weather, better cybersecurity safeguards for protecting data, and new platforms for promoting autonomous or semi-autonomous behaviors. On the other hand, Vitiello cautions, it’s quite clear UAS technology appeals to our adversaries. He points out that transnational criminals have been using these to surveil border agents and transport drugs. Last August, a drug smuggler used a drone to get 13 lbs. of methamphetamines into the U.S. Also, terrorists are now looking to UAS as assassination weapons, and, unlike CBP, they don’t have to conform to legal or compliance standards. Beyond these malicious uses, the FAA consistently reports near misses between planes and hobbyists operating drones, which poses a threat to CPB’s airborne assets. “So, what are we doing?” Vitiello asked the audience rhetorically. “We’re pursuing new technologies that will let us more effectively detect [and track] UAS,” he answered. 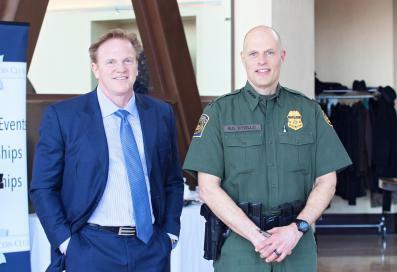 CBP has partnered with the private sector, along with the U.S. Army Research Lab, NORTHCOM and NASA to deploy improved safeguards. However, there are still other considerations. The CPB cannot legally shoot down a drone, even as a countermeasure, and populated areas reduce the impact of such action even if they did. Moving on to back-end infrastructure, Vitiello discussed how CBP is employing new smartphone apps like ATAK, meant to reduce response time and promote situational awareness. 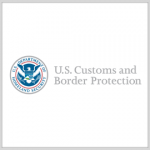 In addition, at the 328 U.S. points of entry, CBP is working to make international travel more seamless and secure, by implementing wide-scale biometrics. Under a Congressional mandate, CBP must install biometrics for departing air travel; the agency hopes to have the technology account for 97% of these travelers within four years. According to Vitiello, these facial recognition platforms will lead to ticketless travel, where a person’s face, in effect, becomes his/her ticket. Though, to ensure that biometric implementation does not negatively affect industry, CBP must work in tandem with airlines and airports. Furthermore, the agency’s running of selective fingerprint checks will ensure relevant government agencies are alerted to travelers on watch lists. The next POC event, 2018 5th Annual Cybersecurity Summit, will be held on Tuesday, April 24th. Spots are filling up, so register today!